Foxtail Millet (Thinai) is a nutritional grain high in calories, protein rich and low-fat. It has a good amount of essential nutritients like calcium, potassium, magnesium and iron. It is also gluten free. They are good for those with diabetes, keeps cholesterol in check and regulates the digestive process. 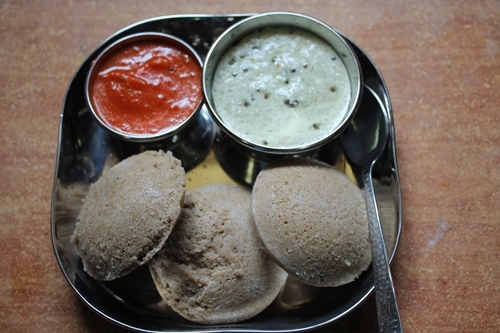 Idly is a staple, traditional and very popular breakfast (anytime) dish in South India. 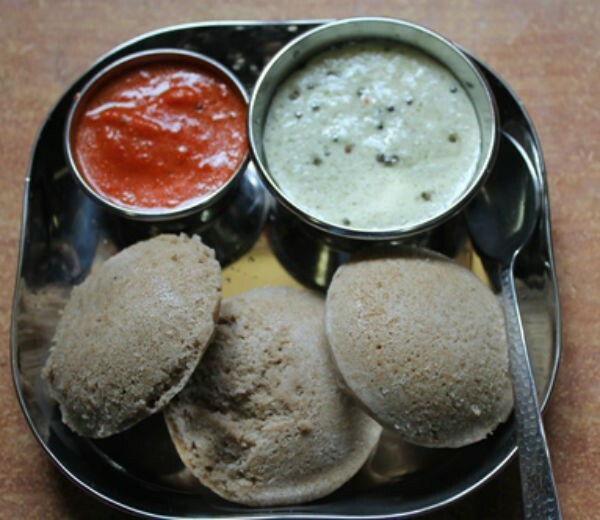 This idly made with foxtail millet is very nutritious and healthy. Soak the ingredients listed for idly batter for 3 hours. Add salt and grind them together till it reaches the idly batter consistency. Crush the jeera and pepper coarsely. Heat a pan over medium flame. Fry all the ingredients listed for tempering. Add the crushed pepper and jeera. Mix well. Add this to the idly batter. Mix gently. Allow it to ferment for 8 hours. Once the batter rises and is fermented, mix them thoroughly. Line up the cups and insert a small piece of plantain leaf at the bottom and wrap a piece of plaintain leaves around the cup. Add the thinai and pour half a cup of the idly batter. Place it in an idly steamer. Steam cook for 20 minutes. Remove and serve hot with chutney, sambar or idly podi. Feel free to comment or share your thoughts on this Foxtail Millet Idly (Thinai Idly) Recipe from Awesome Cuisine.